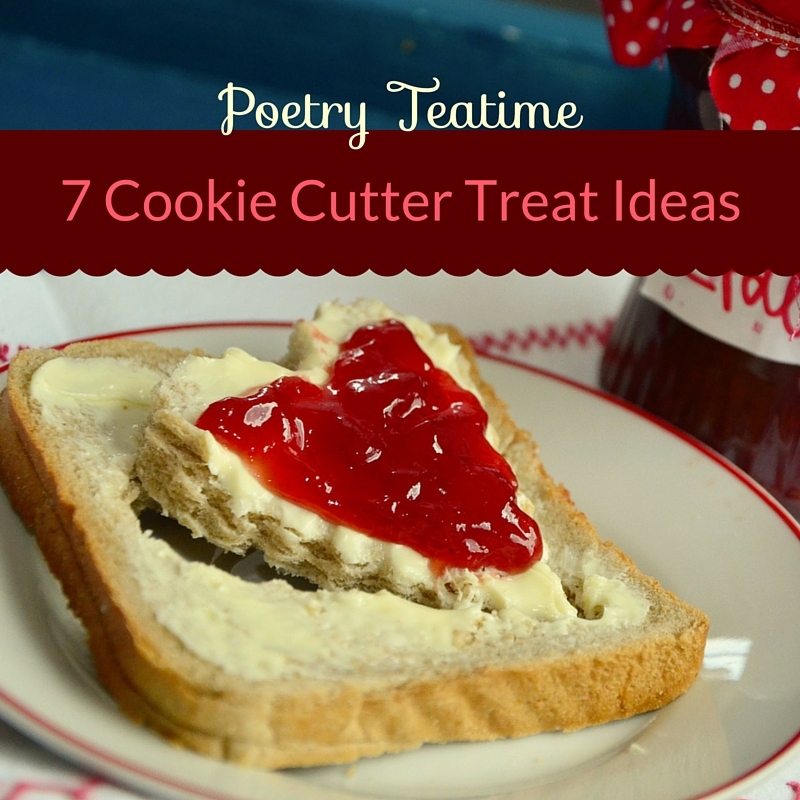 Here's a super way to make Poetry Teatime treats extra special: use a shaped cookie cutter! Check out these 7 fun ideas. Pictured above, just cut out a shape in the bread then top with butter and jam or honey or whatever spread your kids find yummy. You can toast the bread first if you'd like. And here's a heart-shaped cookie cutter set (affiliate link) that includes multiple sizes up to 4 inches wide. Add a fun twist by cutting out shapes on the graham crackers! Find the easy instructions at Cute Food for Kids. Press the blunt side of the cookie cutter into bread, toast it then fill with favorite sandwich fixings (here's an example). Create a fruit salad and cut out shapes in melons. Here's a cute set of mini fruit-shaped cutters (affiliate link). 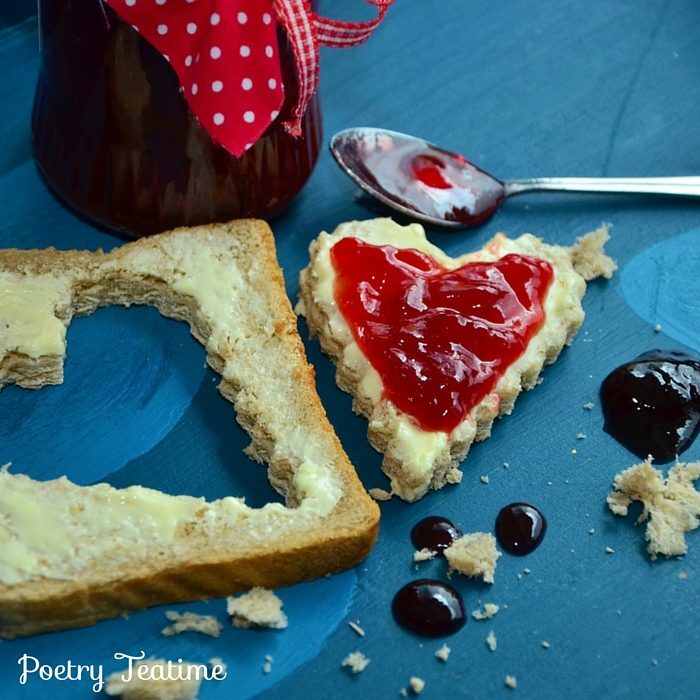 Freeze whipped cream on a cookie sheet and use a cookie cutter to cut out hearts or other shapes. Add to hot cocoa! Find out more on 365 Days. Check out this awesome recipe at Happy Together. Make the full sandwich or if you're in a rush just use the apples with cutouts. If you want to go all out then make these buttermilk beignets or "fritters" as the English refer to them (note: the recipe calls for peanut oil) and use cookie cutters as suggested. There are many others ways to use cookie cutters (like cutout brownies). Be creative!